It seems like Google is all set to bring the AMP technology to search and display Ads too. It was confirmed with notification on the Google’s official blog on 23 May 2017. Before breaking the news, they did not forget to tell why they are doing it and of course, this is a great reason to digest as we already know that Google is damn serious about mobile optimization. When “50% of all your visitors would abandon your site if a mobile page takes more than 3 seconds to load”, and “A one-second delay in mobile page load can decrease your conversion by 20%, it’s necessary that we all embrace the mobile optimization – Source: Found on Google’s blog. Google will launch two ways to leverage the benefits of AMP on your Ads. First is the new “Adwords beta”. 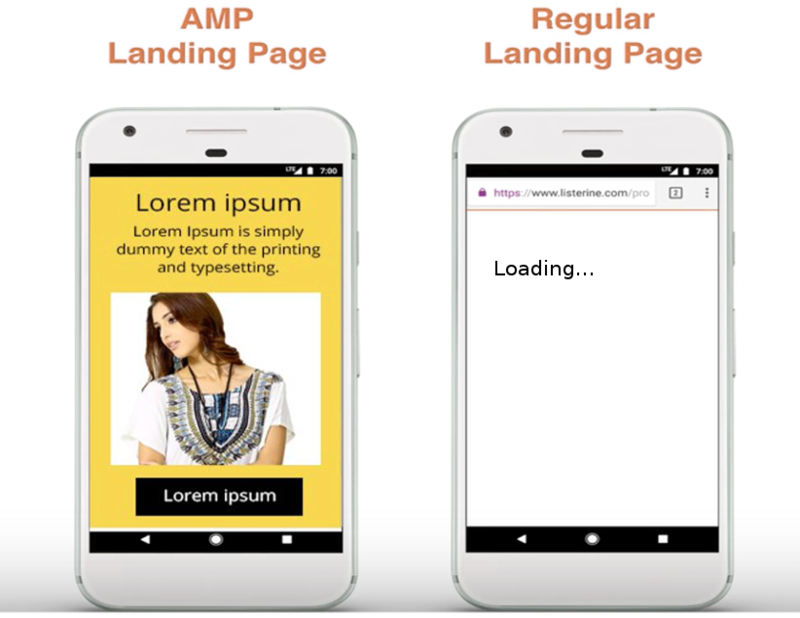 It will allow you use the quick-loading AMP pages as the landing pages for your search Ads. If you are interested in participating in the beta program, you would get the sign up now. Next, Google is advancing up the speed of the Ads that are served across the Google Display Network by using the same AMP technology. It’s a proven fact that speed matters when you are browsing either on a desktop or on your smartphone. When traditional Ads are already not so liked by the users, search and display Ads are the best option you have got in paid Ads segment. It’s important that these Ads perform well and present the desired ROI. You cannot afford a bounce back from your landing page just because it took quite a time to load on mobile. 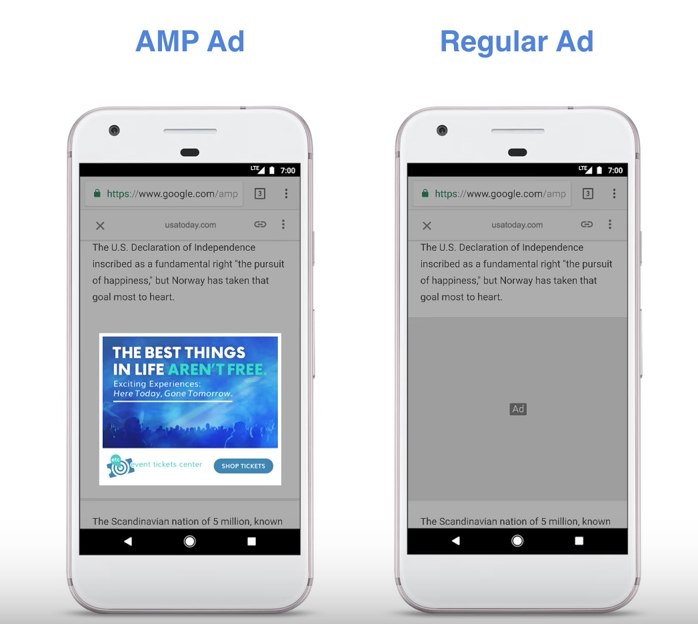 With so much of investment in search Ads already, Google AMP enabled Ads are like a breeze of positiveness for the marketers. 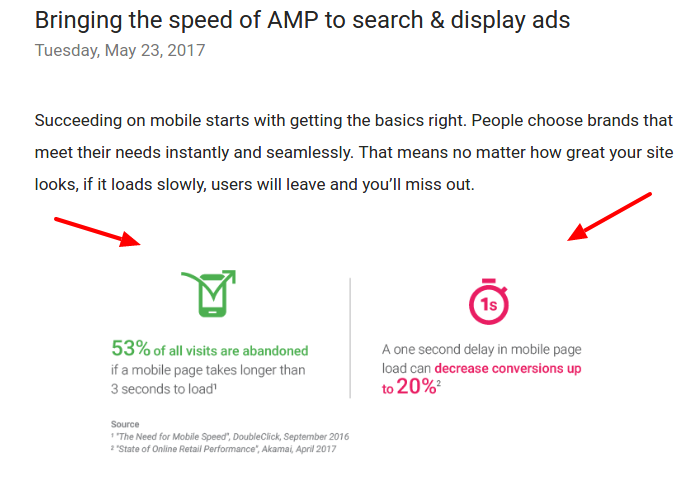 Google says “AMP Ads load up to 5 sends faster than the regular Ads”. This would surely ensure that your Ads are being seen by your target audience without any slow loading issue or image lag. This would make a great first impression, rest depends on your Ad’s efficacy and landing page conversion optimization of course. With mobile optimization, mobile SEO, mobile first indexing, AMPs, Google is giving its best to give the best mobile experience to the real users. Now Google Amp on Search Ads is a special giveaway from Google that I think has already received a warm welcome by the marketers across the globe. Let’s hope for the best and see what wonders can it do in search and Display Ads world.